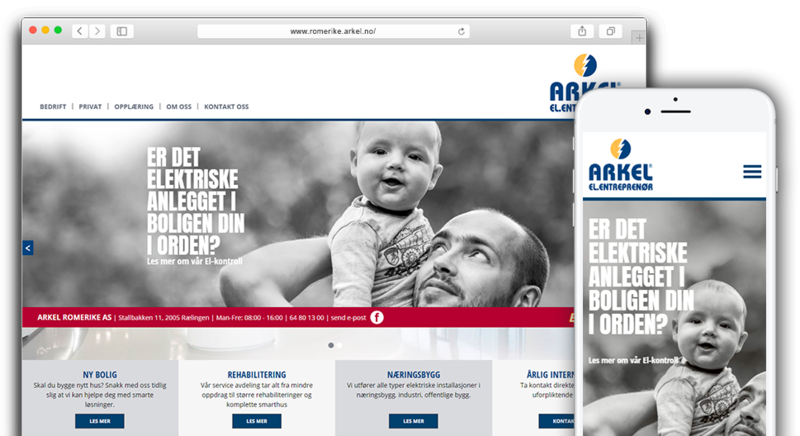 Arkel Romerike AS is a full service electrician company with office in Rælingen. We work towards both the corporate and private markets and also have specialized expertise in road lighting. Today we have 38 employees, 14 service cars and 3 lorries, and turnover in 2017 for around 60 million.